SANITY SCHOOL® Live | Want to Stay Sane and Stay Together? Welcome to SANITY SCHOOL® Live-San Francisco/North Bay! What is SANITY SCHOOL® Live for Parents? An in-person Parent Management Training created by ImpactADHD® to radically improve the lives of parents dealing with complex children & teens, including those with ADHD or other executive function challenges (e.g., focus, organization), learning disabilities, sensory processing issues, anxiety & more! Using a coach-approach to parenting, SANITY SCHOOL® Live helps parents improve confidence, increase peacefulness at home, and support kids to be more successful. When is the next workshop? All 6 modules will be delivered in 4 sessions in Marin County in October of 2018. The 4-session class will also be offered in San Francisco in February 2019. Exact dates and locations to be announced soon. If you want to be notified about upcoming classes, email rhona@parentalliance.com or fill in the contact form below. Who are your instructors? Seasoned leaders with their own complex kids who are certified and licensed trainers for SANITY SCHOOL® Live for Parents. 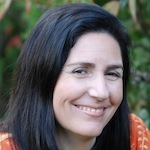 Rhona Berens, PhD, Professional Certified Coach helps parents stay sane and stay together. As an experienced educator and presenter, she speaks to parents, teachers & birth workers across N. America. She’s a Gottman Leader for Bringing Baby Home & The Seven Principles for Making Marriage Work & a TOOLBOX® trainer (K-6 SEL program). Betsy Gornet, MS, FACHE, Professional Coach, NLP-MP is a Life and Leadership coach who supports individuals as they reach for and move into the experience(s) they most want in their life. She is a member of the International Coach Federation. Betsy has over 30 years as a leader in palliative and hospice care, national speaker, and educator. What’s covered in SANITY SCHOOL® Live? How to model Self Care to teach your kid self management and more! Notice that your kid is happier and less frustrated – and you are, too! Understand HOW you can help your kid grow into a responsible adult. Experience less guilt as a parent, confident that you are doing all you can to help your child or teen. Reconnect with your kid to cultivate a great relationship. Gain clarity about next steps to effectively guide your child or teen to independence and success. What’s included in the enrollment fee? Neither ImpactADHD® nor SANITY SCHOOL® Live for Parents, and neither Rhona Berens nor Betsy Gornet, provides medical treatment or therapeutic services. The information, education and materials provided by ImpactADHD® and SANITY SCHOOL® Live for Parents are supplemental to recommendations offered by your health care provider.